It's Sandcastle Day! I just love sandcastles. I remember when we were on a walk one time with Bunnybell and saw this fab sandcastle. I thought it could be a perfect model for a pink castle for me. 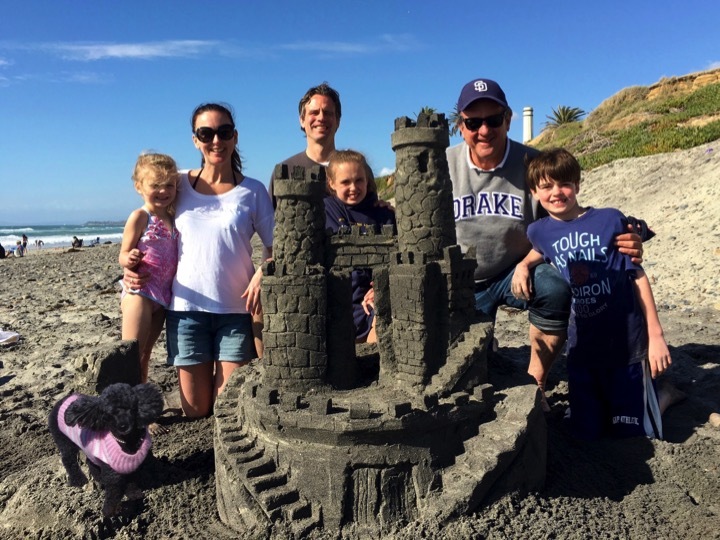 Sandcastle Day also brings to mind when my family visited and we all built a sandcastle. And it came out so fab! Happy Sandcastle Day! WOW!!! That is a beautiful sandcastle. 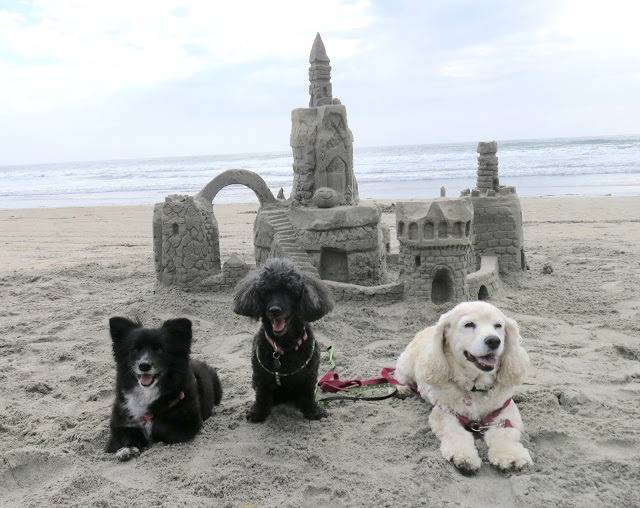 We wish we lived near the ocean so we could play in the sand too. Yes! The sandcastles are incredible! I wish you lived near the ocean (and me) too! But then you wouldn't get your snow! RosyPoodleKisses!